Flip the Bird! Movie Premiere Event! 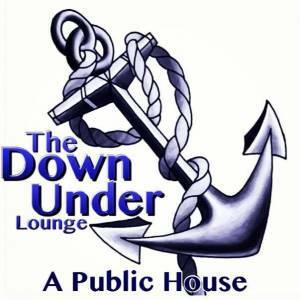 On January 14, Kevin Heesacker, and Sam Rocha of Omahero Films, and the Down Under Lounge will be premiering a mockumentary that's been two years in the making! This is the documented movie about their political rivalry... It is a tale of hope, betrayal, bribery, e-mail scandals, more bribery, possible murder, even more bribery, and inappropriate hen touching. So very inappropriate... Allegedly of course... 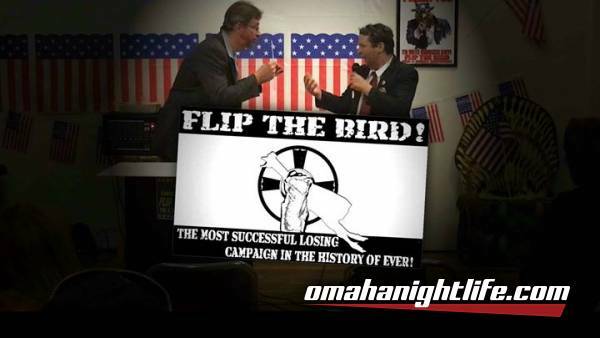 This is the documenatry/mockumentary that is "FLIP THE BIRD! The Most Successful Losing Campaign in the History of Ever!" Filmed at various Omaha venues/locations, and featuring a cast of some very funny local Omaha talent. This mockumentary spoofs, and parodys the ridiculousness of modern politics. Join us on Sunday January 14, at the Down Under Lounge for the world premiere of "FLIP the BIRD! It's 2 hours of damn silly satire that's totally glutton free! Bigly!